The odds of finding a habitable planet elsewhere in the universe just get better and better. 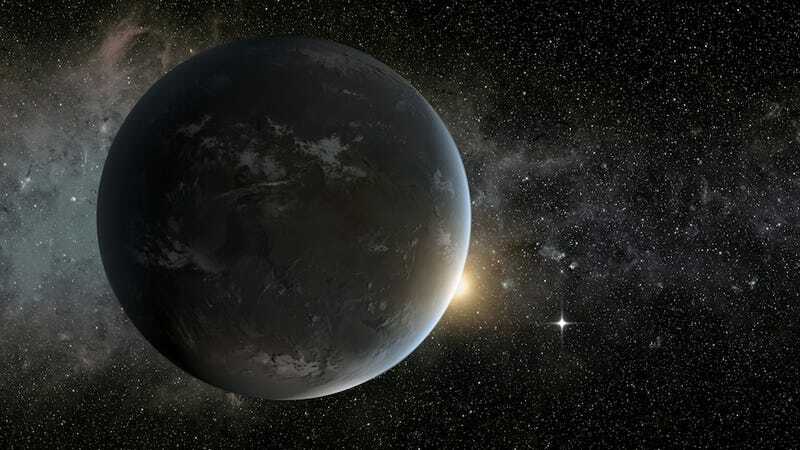 A new study claims that one in five Sun-like stars has an Earth-size planet in the habitable zone. That adds up to about 20 billion Earth-size planets in the Milky Way alone. Obviously, these findings are pretty exciting for planet hunters. "Earth-sized planets having the temperature of a cup of tea are common around sunlike stars," Geoff Marcy, a Berkeley astronomer and co-author of the research paper. "[This] represents one great leap toward the possibility of life, including intelligent life, in the universe." Actually, when you put it that way, this is potentially horrible news for the rest of us because, you know, aliens are scary. As others point out, just because a planet is "Earth-size" does not mean it's "Earth-like." When there are 20 billion of them, however, it seems there's a pretty good chance one could be like ours. "When you look up at the stars in the night sky, how many of them have a planet like the Earth?" lead author Erik Petigura, a Berkeley grad student, told The Washington Post. "We're able to start answering this question."